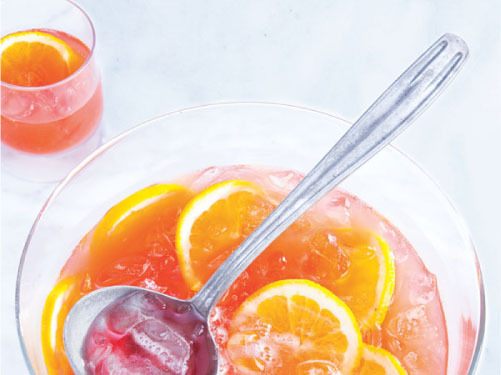 1.In punch bowl, stir club soda and sugar until sugar dissolves; add ice. Stir in grapefruit juice, gin, lemon juice and vermouth; slowly add sparkling wine and gently stir. Add grapefruit and/or lemon wedges for garnish (optional). Makes about 7-1/2 cups.